Exactly one year after the Harlingen community voted in favor of a school board adopted tax rate, students continue to see the direct impact of the Tax Ratification Election. Last week, a Pelco security crew finalized installation of high definition surveillance systems in all 17 elementary campuses of the Harlingen Consolidated Independent School District. Voter approval of the TRE in September 2015 generated approximately 5.8 million dollars in state funds and 4.2 million dollars in local funds, allowing the district to increase the Maintenance & Operations component of the total tax rate and address necessary upgrades in HCISD campuses. The district has invested $650,000 from TRE funds in the installation of hardware infrastructure and video management software at all elementary campuses. All systems are now in place and fully functional. Cameras are mounted inside and outside of school buildings, where they can actively monitor school entrances, hallways, back doors, cafeterias, gymnasiums, and student drop off and pick up areas. Each campus has received between 9 and 12 high definition cameras, with the larger campuses requiring more cameras in order to cover the entire perimeter and school grounds. 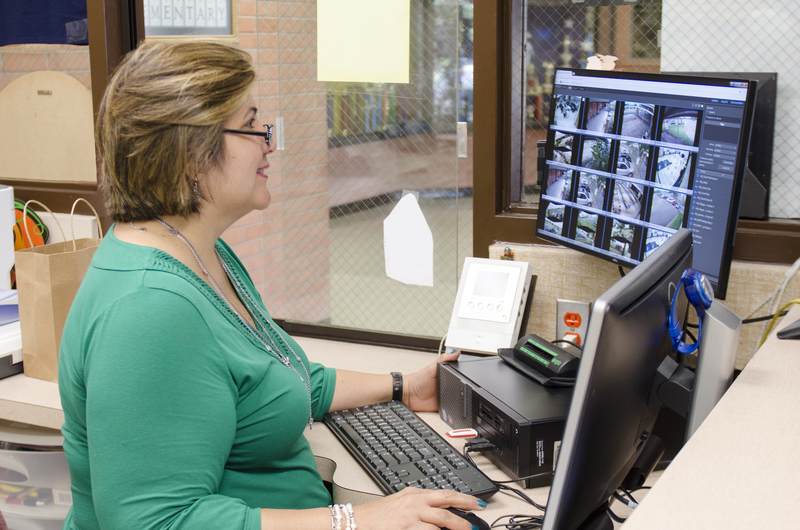 Front office personnel and principals have monitors of the live feed on during school hours. Visitors cannot enter the school building without being granted access by an authorized staff member. The system has around the clock DVR recording capabilities, therefore every visitor is documented, and real-time footage can be reviewed by administration or the authorities if an incident should arise. Romero refers to the investment as “money well spent,” wishing she had had a similar system during her principal days. The district has allotted $250,000 from TRE funds to install brand new surveillance systems at Harlingen High School and Vernon Middle School this school year and an additional $250,000 to complete new camera installations at Coakley Middle School, Gutierrez Middle School, Vela Middle School, Early College High School, Secondary Alternative Center, and KEYS Academy in the subsequent 2017-2018 school year.